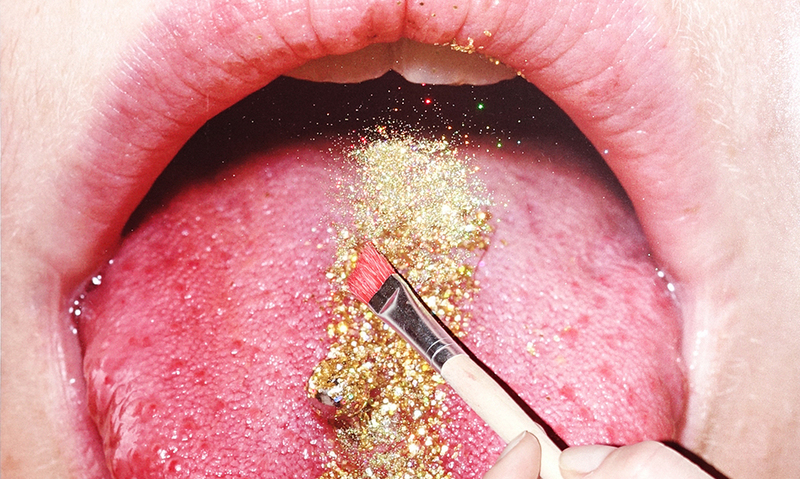 A playful observation in glitter and rainbows our beloved collective member Andi Galdi Vinko. Click here to see the article on DAZED. A playful observation in glitter and rainbows. A handful of close-knit creatives come together in an explosion of confetti, hair extensions and white-walled shots for this personal project. What happens when a couple of make up artists, a hair stylist and a photographer all come together? Cue: an explosion of glitter, some flowing hair extensions and a handful of white-walled shots in what feels like the perfect antidote to that New Year’s hangover that’s, well, still hanging around. In a personal project for photographer Andi Galdi Vinko and a group of her creative friends – last featured on Dazed snapping neo-nostalgia at its finest – it’s safe to say that the Hungarian-born creative is revelling in such freedom, admitting; “I usually only work with hairstylists and makeup artists when it comes to commissioned projects and usually our hands are tied and we can’t go crazy. Here, we had no rules to follow, no client and no demands”.